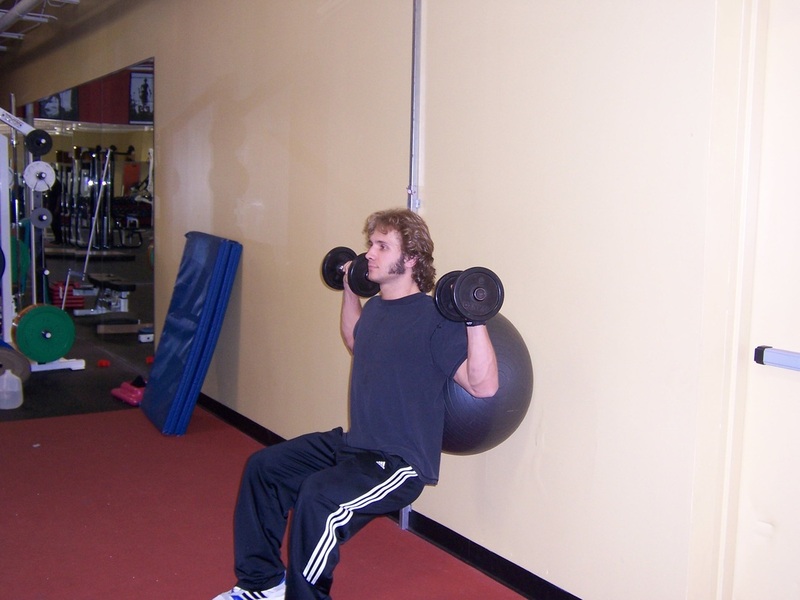 Dallas Personal Trainer - This is typically a favorite of Dallas Personal Trainers who are certified by NASM (the National Academy of Sports Medicine). 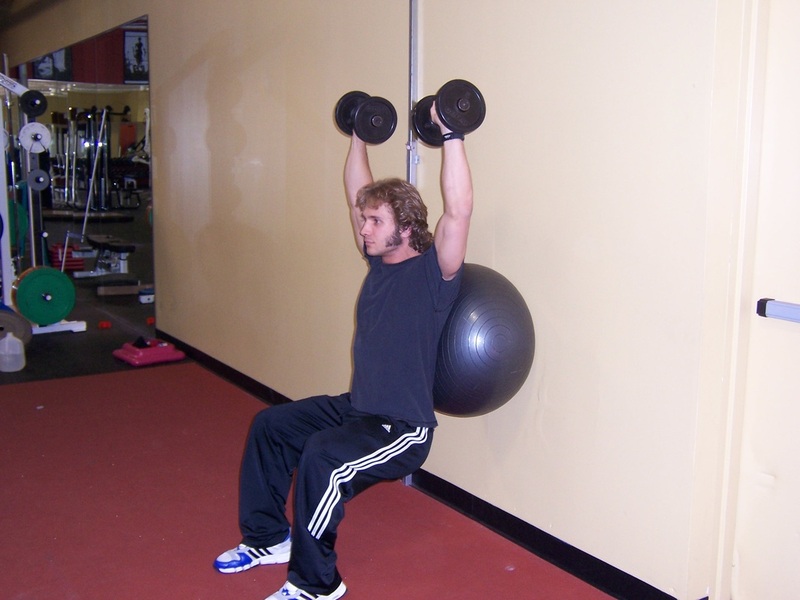 It is an excellent total body exercise that is very effective and can be performed by most people. 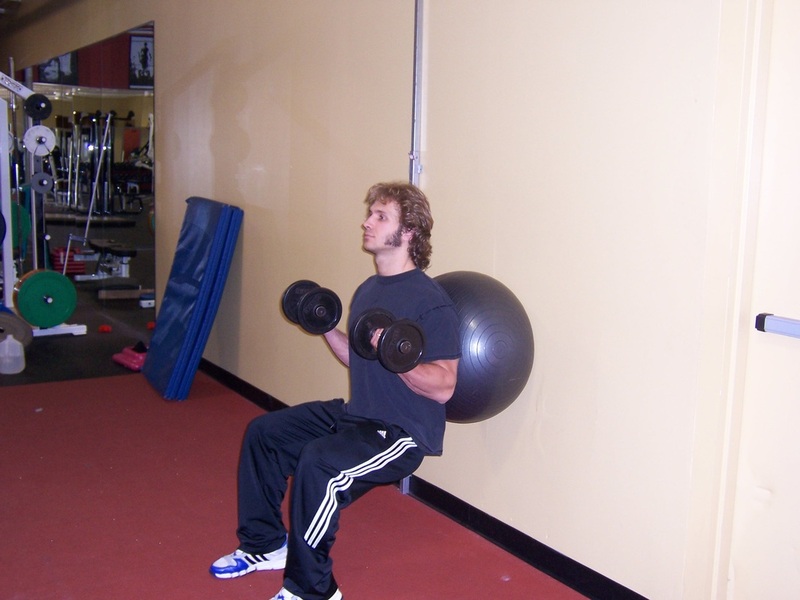 Hold a set of dumbbells in your hands, put a stability ball against the wall, and lean into it with the small of your back. 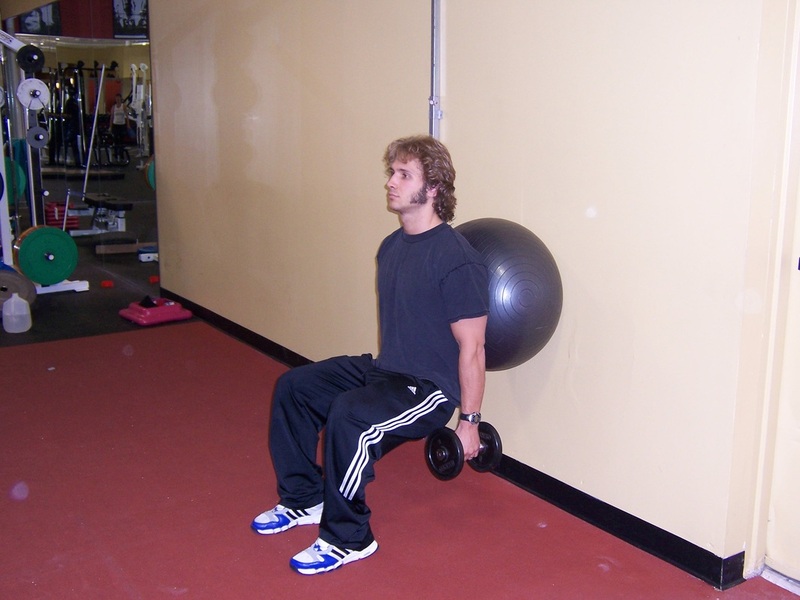 Set your feet out a few feet from the wall, so that when you squat down to the level at which your thighs are parallel to the floor, your shin will be perpendicular to the floor. 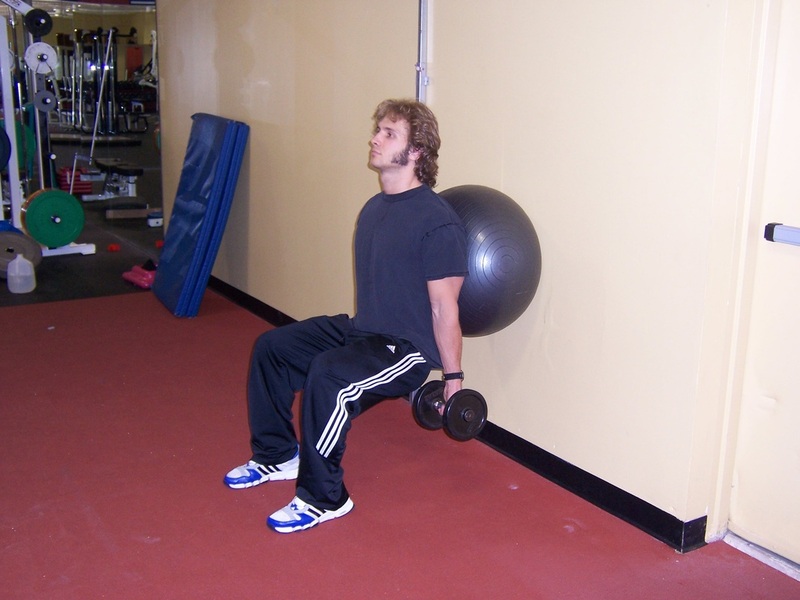 When squatted to this level, your knees should form a right angle. Once you have your feet set in the right spot, begin to squat down, making sure to keep your bodyweight on your heels, and making sure to keep your torso completely upright (don't let your rear end push out to the back). Once the top of your thighs are parallel with the floor, curl the dumbbells up with your biceps, rotate them, press them overhead with your shoulders, lower them back to the shoulders, curl them back down to your side, and then press your heels firmly into the floor to smoothly squat back up. 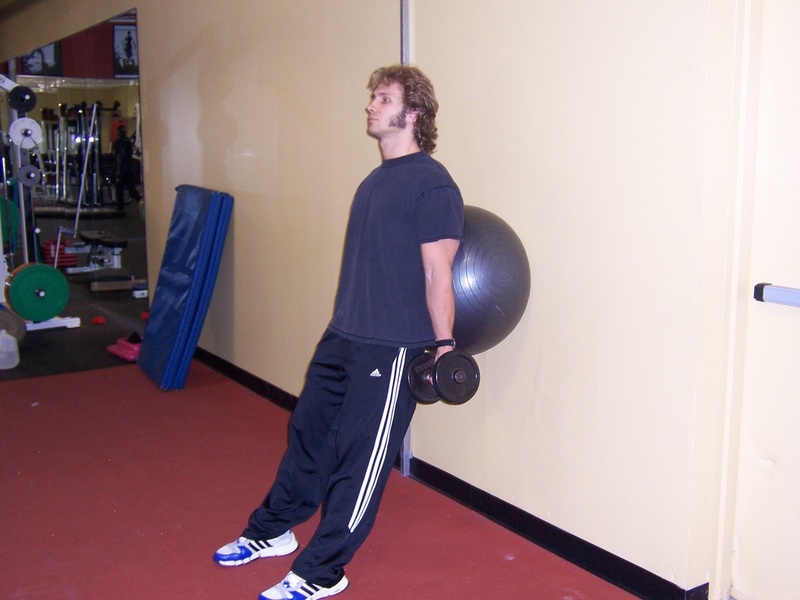 At the top of the motion contract your glutes (rear end muscles) tightly. This is one rep. Repeat this process for the total number of reps specified by your workout program. 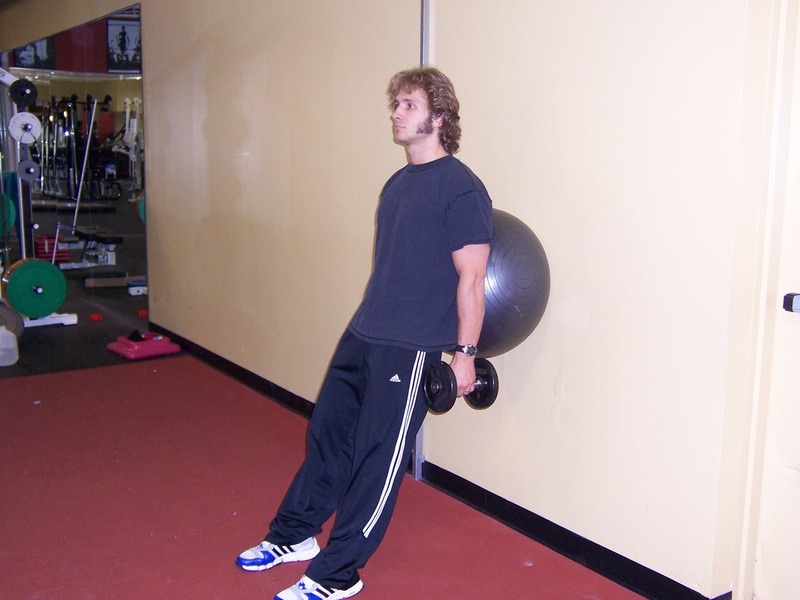 Make sure that your bodyweight never shifts forward onto your toes during this exercise.